The purpose of the conventional sample APA article review is to summarize as well as evaluate the ideas and core principles highlighted by the author. It examines the main points and important claims of the presented information. An article review is focused on discussing the positive aspects of the article along with finding negative contradictions or inconsistencies within the selected text. It is necessary to remain impersonal when writing an article review in the APA formatting and be critical regarding the key concepts of the text. The professors L. Johnson and K. Caruson in their article “The Seven Sins of the American Foreign Policy” examine the basis of the United States international affairs with the other countries worldwide. The authors investigate a historical sequence of the events that the American foreign policy went through, in order to identify the core principles on which the international affairs of the country are shaken. To avoid the harmful effects of the identified system-related issues, they suggest to intervene through the educational force that would guarantee a bottom-up approach towards the process of solving major complications of the American foreign policy. The authors provide readers with seven fundamental defects that should be emphasized in order to perfect the international image of the country. The greatest concern to long-term U.S. foreign policy interests constitutes ignorance. In other words, common Americans are not competent in international matters because historically the society has evolved mass closeness towards the surrounding world. As a result, the authors sustain their credibility by presenting statistics, where local students were not able to locate countries on the map or even name some of the African countries. 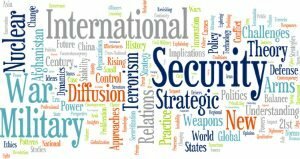 Lack of interest is the greatest issue for the future of the foreign policy as the country is currently dependent on the international community while serving a basis for safety and stability in the world. Moreover, L. Johnson and K. Caruson emphasize that precipitation of military activity can lead to harmful consequences on the national safety. The main strength of the article concerns the unbiased perspective on the current state of the events. The authors do not take a single Republican or Democratic approach towards the leading of a foreign policy. Instead, they provide reasonable arguments in order to present the question at the full scale. With the continual elections in the United States, this article is of immense value, as the country can transform its attitude to the international community based on the next ruling party on the political arena. The authors apply the logical sequence of the identified problems and sustain each notion with the historical evidence in relation to the research conducted by political scientists on the complicated area. An abundance of relative information creates an impression of the article being reliable and valid. Nevertheless, there is a controversy that the authors unintentionally hold in the content related to the possibility of solving the international issues within the country. This article has been written a decade ago, yet till now according to the researches, the situation did not evolve. The identified sins of the foreign policy have not altered, what creates a huge gap of misunderstanding within the international community. Furthermore, the authors did not regard an external side of the argument, identifying the attitude of other countries based on the extensive propaganda of the United States. To sum everything up, this article is an informative and strong research on the existing issues challenges of the foreign policy of the United States. Anderson, P. (2015). American foreign policy and its thinkers. Brooklyn, NY, USA: Verso Books. Johnson, L., & Caruson, K. (2003). The Seven Sins of American Foreign Policy.American Political Science Association, 36(1), 5-10. Johnson, L. K. (2012). National security intelligence: Secret operations in defense of the democracies. Cambridge: Polity. Pauly, R. J. (2010). The Ashgate research companion to US foreign policy. Farnham, England: Ashgate. Roberts, P. S. (2013). “Disasters and the American state: How politicians, bureaucrats, and the public prepare for the unexpected” New York: Cambridge University Press.